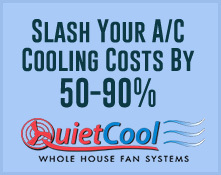 Lower your Utilities Bill this Summer! Heating & Air Conditioning – Sales & Service Serving Shasta County & Surrounding Communities since 1974. Residential, Manfactured/Mobile Home Service. An Authorized Coleman & Intertherm Service Center. Tired of Waiting 2-3 Days for Emergency Service or Repairs? for Decades, Circle N Has Been Committed to Same Day Service for Customer Emergencies. In This Industry, Reliability Means Getting the Right Parts and the Right Skills to the Right Place at the Right Time - Every Time! at Circle N We Have a Well Deserved Reputation for Doing Just That. and… We Can Provide a Long List of Happy Customers As Testimony. We Don't Bill by the Hour, Like So Many Others, and then Spend Endless Hours Getting the Job Done. at Circle N, Our Customers Want, and Get, a Flat Rate (Not to Exceed) Estimate for Their Entire Job. If It Costs Us More to Complete a Job, That's Simply the Cost of Doing Business. Locally Owned and Operated – We've Been Responding to Customers With Manufactured Homes (Like Those Sold by Cousin Gary's) for over Three Decades. Service Requirements for These Homes Are Radically Different Than for Traditional Wood Frame Houses. Circle N Has Long Been a Resident Expert on These Unique (and Constantly Changing) Requirements. Providing a Service That Ensures Compliance With Local and H.U.D. Building Codes and Safety Requirements Is What We're All About. You Won't Find Finer Skills, More Experience, or a Happier Group of Customers Than You Will Here at Circle N.
Both You and Your Home Climate Control System Experience a Lot More Stress when the Weather Is at Either Extreme – the Ear Biting Cold of Winter or the Blazing Heat of Our Summers. That Means That the Potential for Breakdown Is Greatest, Just when Your Furnace or Air Conditioner Is Working at Its Hardest. Clean or Replace Filters Frequently (Based on Manufactures Recommendation). Replace Battery(S) in Your Thermostat Annually. Have Your System Professionally Serviced Semi-Annually. Consider Upgrading Your Old, Tired Equipment With New, a New, Higher Efficiency System. Call the First Chance You Get – Don't Wait Until Things Get Worse & More Expensive.